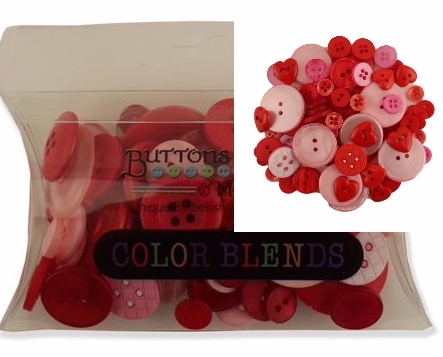 Buttons Galore Button Color Blends Valentine 3 oz. - Shades of pink and shades of red with some heart shapes. Perfect for your Valentines and more! Sizes range from 5/16 to 1 inch. 3 oz., approximately 75 buttons. Assortment will vary from package to package.